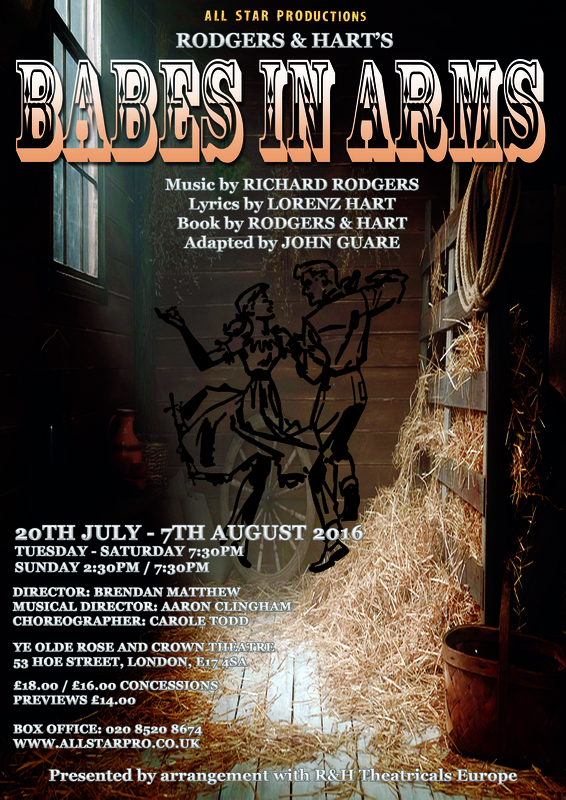 All Star Productions will present BABES IN ARMS at Ye Olde Rose and Crown pub theatre in Walthamstow, east London, from 20 July to 7 August 2016, with an opening night on 22 July. 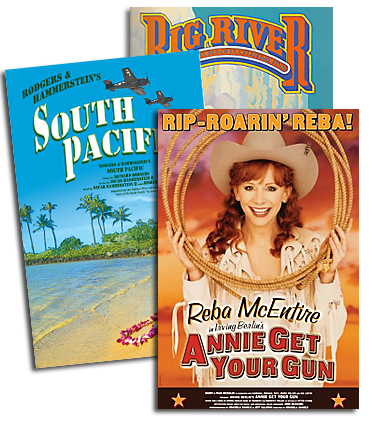 This production will feature the original script of the Rodgers & Hart musical comedy, which has not been performed in London for some time. It will be directed by Brendan Matthew, with musical direction by Aaron Clingham and choreography by Carole Todd. BABES IN ARMS has music by Richard Rodgers, lyrics by Lorenz Hart, book by Rodgers & Hart and has been adapted by Jason Guare. This quintessential 'Hey, kids, let's put on a show!' musical features some of Rodgers & Hart's most popular songs, including 'My Funny Valentine', 'The Lady is a Tramp', 'Where or When' and 'Johnny One Note'. Jack Mccann is to play Valentine LaMar with Ruth Betteridge as Billie Smith, Beth Bradley as Baby Rose and Joey Warne as Peter. The cast will also include Anthony Matteo, Paige Mackenzie, Andrew Truluck, Dominic Owen, Jaime Tait, Meg Mccarthy, Alex Okoampa, Annabel Edwards, Austin Garrett and Jordan Ginger.